Dennis Stolkey, senior vice president and general manager of the Americas for HP Enterprise Services, has been named TechAmerica’s Chairman of the Board, as announced by the leading technology association. 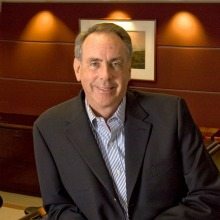 He will fill the role previously occupied by Peter J. Boni, CEO Emeritus of Safeguard Scientifics, Inc. Stolkey has served on TechAmerica’s Board of Directors for four years. Stolkey, a leader in the technology community, has spent 26 years with HP, beginning with EDS, and prior to that, spent 20 years with AT&T and Michigan Bell. Read Stolkey’s response to our 2012 WashingtonExec series “Three Pieces of Advice to Your Children” here.